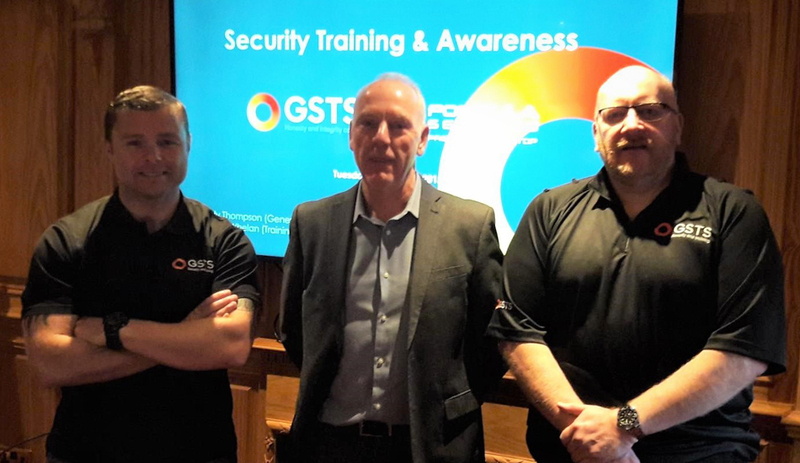 A big thank you to Gerry Graham, General Manager at Formula Services Premier Truck Stop in Ellesmere Port and his security team for allowing our training manager, Robbie Whelan and general manager Andy Thompson, to deliver our unique TAPA compliant security and awareness training. Formula Services are currently applying for the TAPA Level 3 PSR (Parking Security Requirements – Certified Secure Parking Operator) which if awarded, will mean they will join an elite group of truck stop parking operators who offer their customers a truly safe and secure service. As a former Merseyside Police cargo crime specialist and logistics security professional, Andy, our general manager, is bowled over with the efforts made by Gerry and his team in aspiring to achieve this highly respected standard of truck stop parking security.